A naive picture of the life of Russian peasants. Linen cloth made by the peasants themselves. They grew flax, then they beat him, spun yarn, and then weaved the canvas. These canvases were then bleached in the sun, laying stripes of fabric on the grass. It’s already getting dark, and two women are collecting stripes of bleached flax. One woman carried home folded canvases on her shoulder. The artist painted bright sweaters with sweaters, skirts and women’s shawls. On large, worn out feet there are no shoes – then the peasants did not wear shoes in the summer, because of savings. Chickens are walking nearby. Against the background of the evening sky, silhouettes of trees stand out. 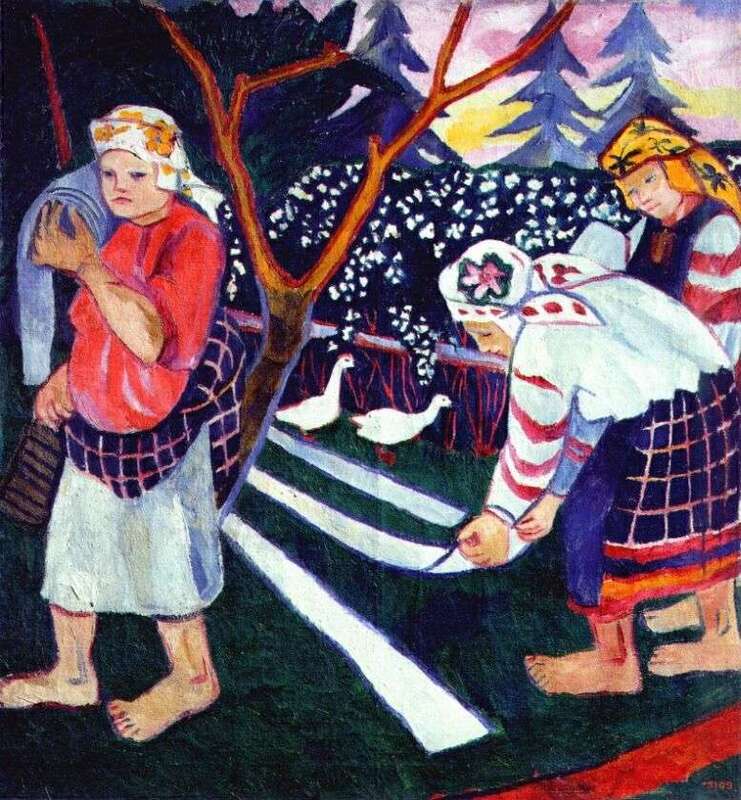 Description and meaning of the painting Flaxing by Natalia Goncharova.